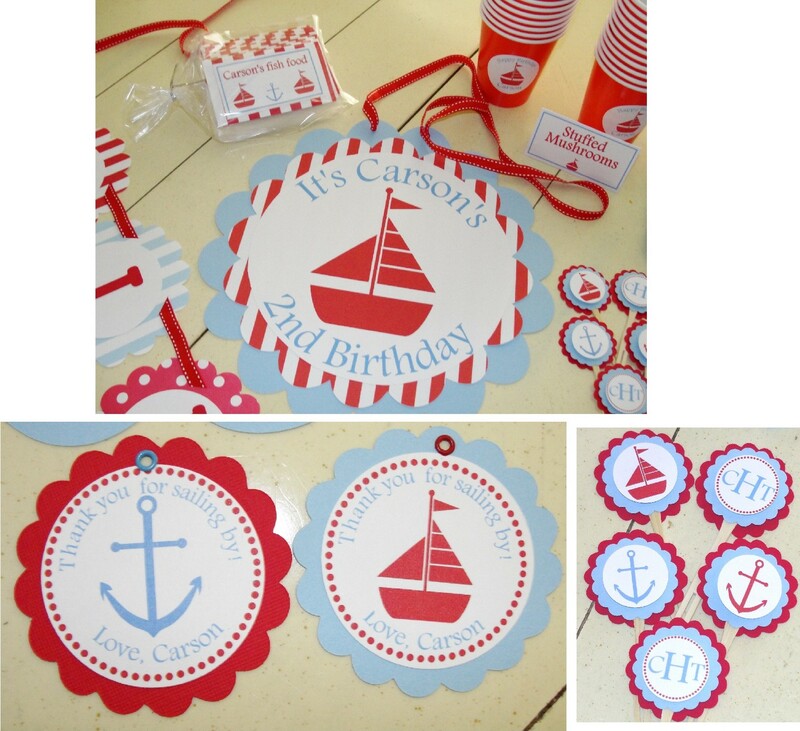 Because you all know I am obsessed in Love with children's birthday parties, I thought I would give you a peek at all the cuteness that will be at Carsons! Sherry never disappoints with all the paper for his party! Girl, you are so on the ball! I need to get my crap together and start planning Sterling's birthday! Love the paper products and the sailboat theme, but I expected no less from you! Can't wait for the Big Day! um...is it weird that I'm jealous of a 2 year olds party and of his mother's taste & party planning abilities? The hubs, baby and my birthday are all within a week of each other so not sure how I'm going to handle it. One joint party or 3 separate ones??? Thank you so much for stopping by my blog! You made my day!! 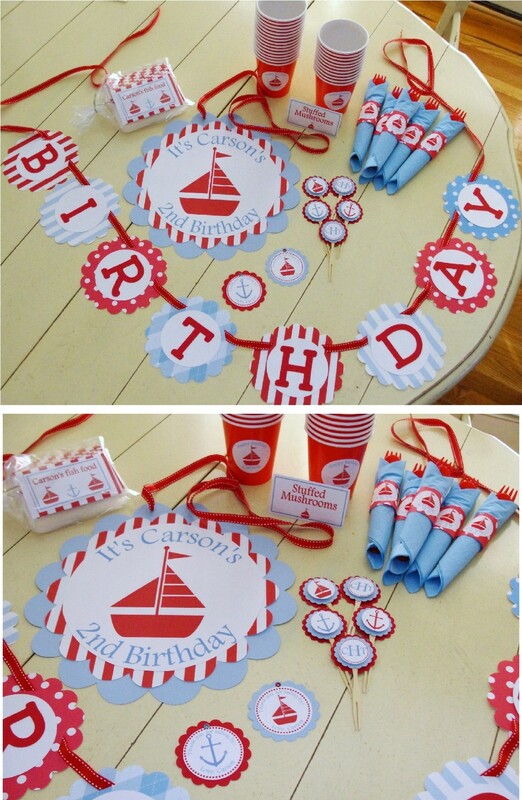 I just love yours and your planning of your son's birthday made me think of the Hostess with the Mostess blog. Have you seen it? 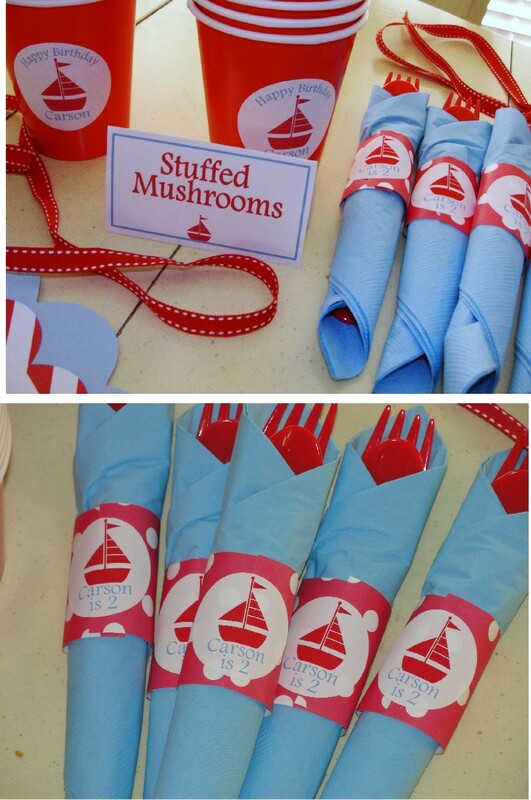 That is a seriously cute party!!! Can't wait to check out the paper source! Wishing I was going to be around to come this year! I had a blast watching Carson play with the balls last year. Ready to see you soon!